Energy & Vitality - Nature's Way®. Spicy. 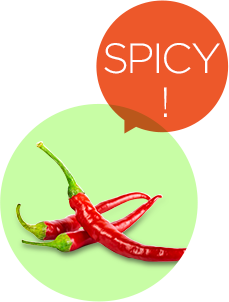 It’s a common myth that eating spicy food increases metabolism. Now, it is true that eating peppers and chilies may slightly raise your body temperature, supporting your metabolism by a small increment, but it’s not enough to aid in weight loss.